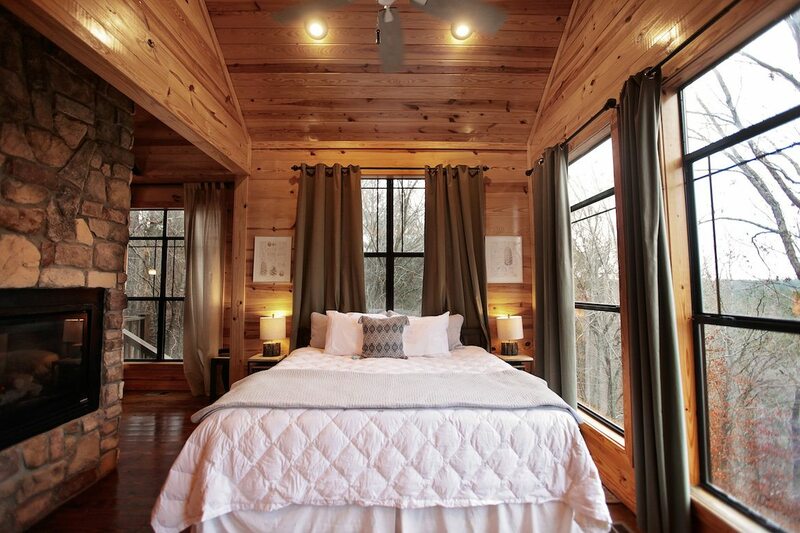 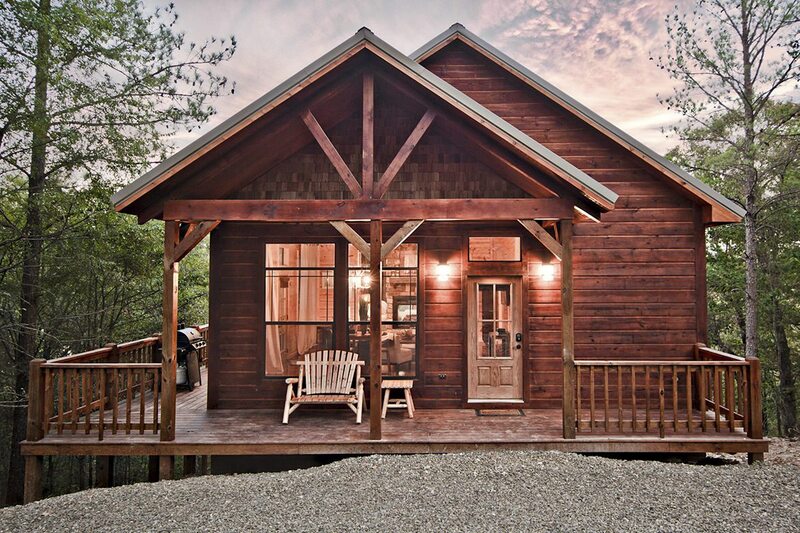 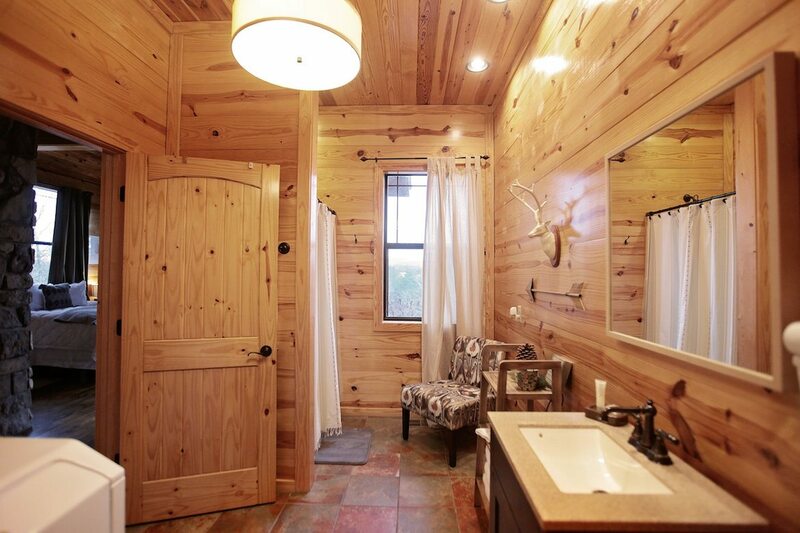 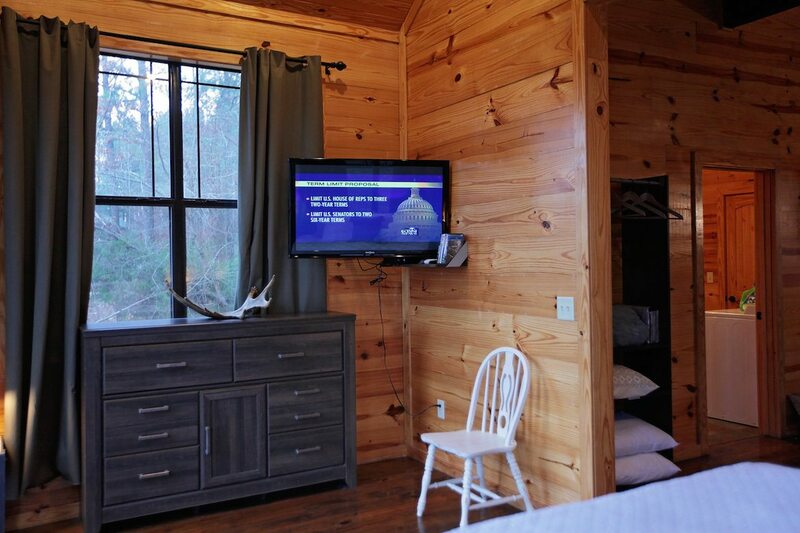 Mount Mystic cabin is nestled into the treetops overhanging the side of a mountain in Timber Creek Trails. 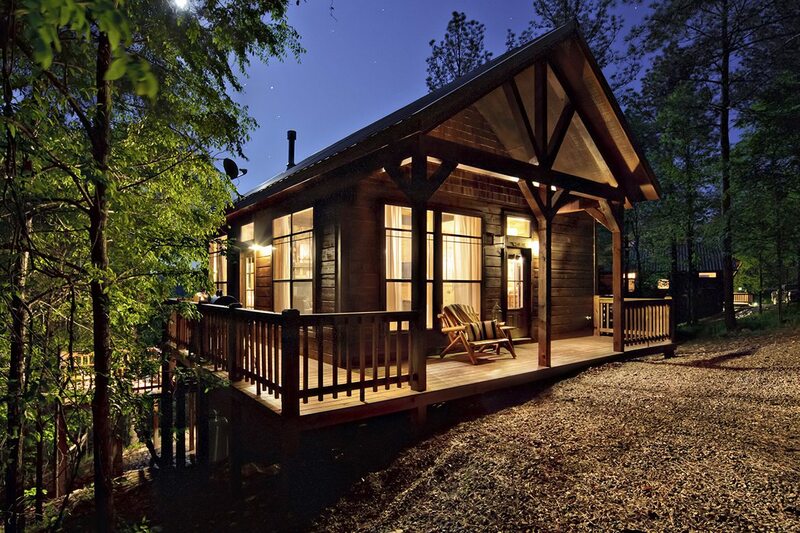 Just minutes from Broken Bow Lake and Beaver’s Bend State Park, this cabin sits on one of the highest peaks in the Broken Bow Lake area. 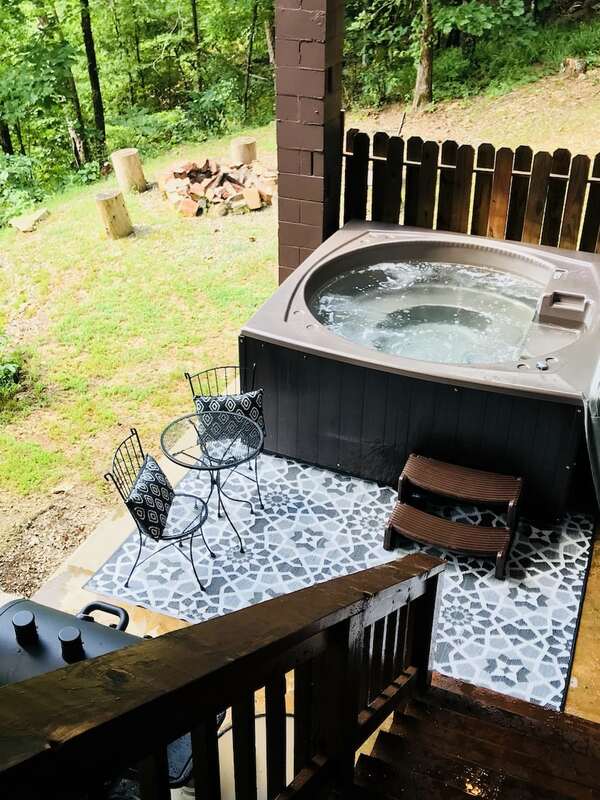 While at Mount Mystic enjoy the sound of the creek flowing in the valley below while you relax in the outdoor hot tub, cook on the gas grill or roast marshmallows in the fire-pit. 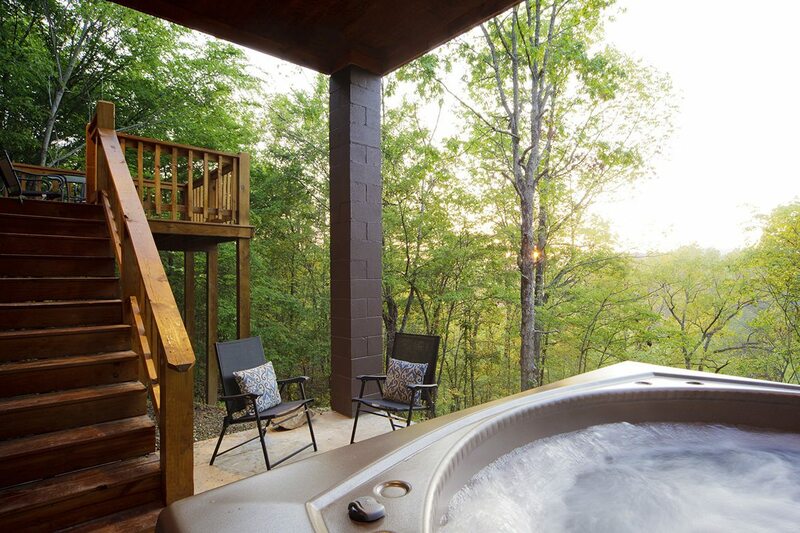 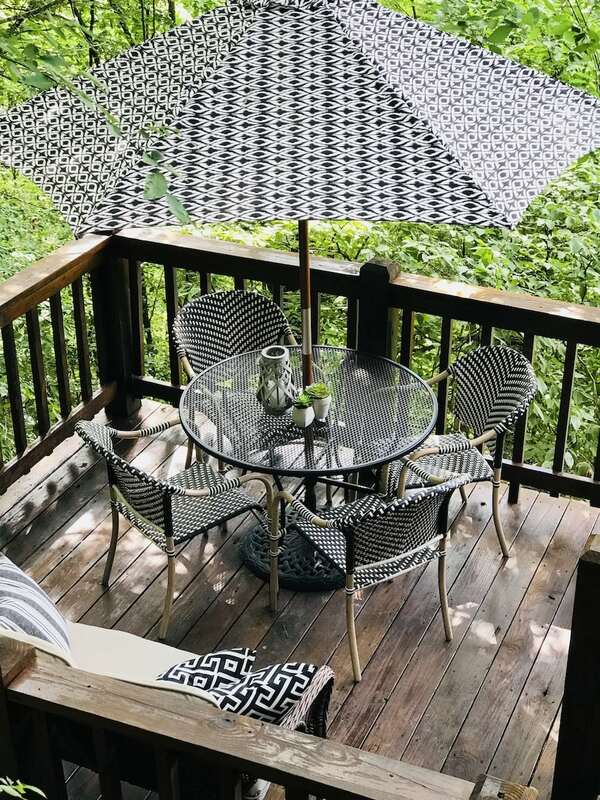 From the two-level deck breathe in the fresh air while you enjoy the amazing views of mountaintops in the distance. 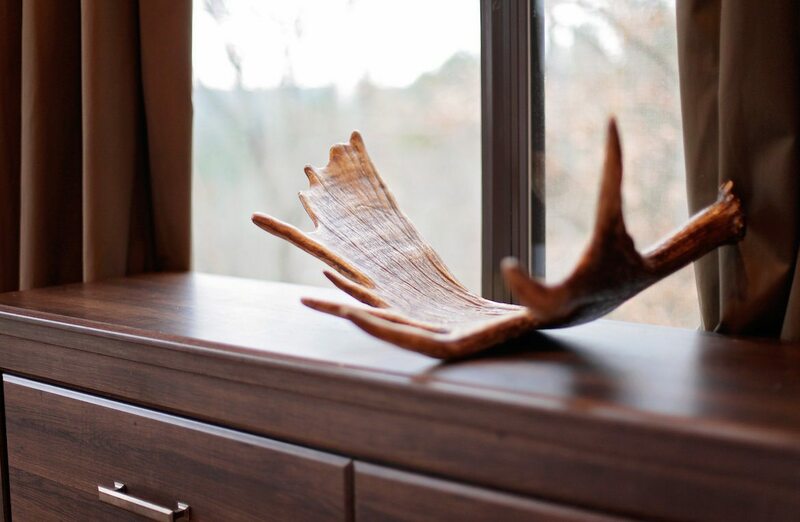 Look for wildlife such as deer, black bear, fox and coyote down the mountain and into the valley, all have been spotted in the area. 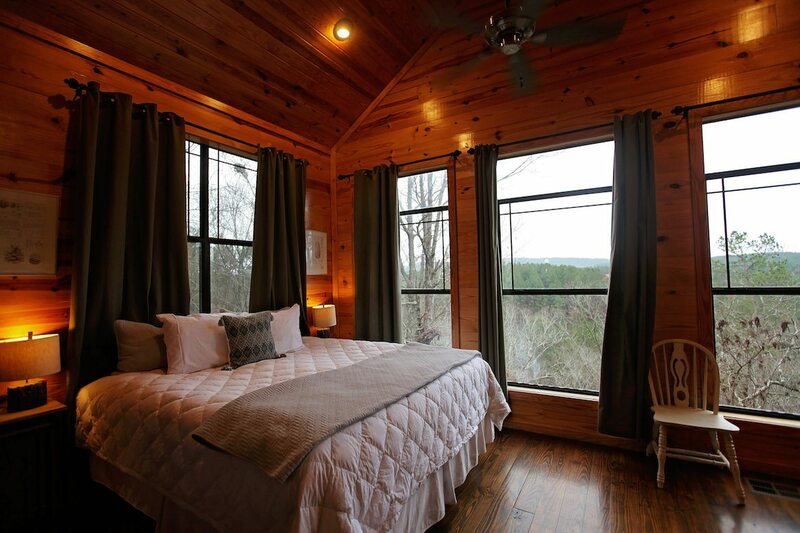 Step inside Mount Mystic cabin and it’s hard to believe you’ve left the outdoors with large windows surrounding you on all sides. 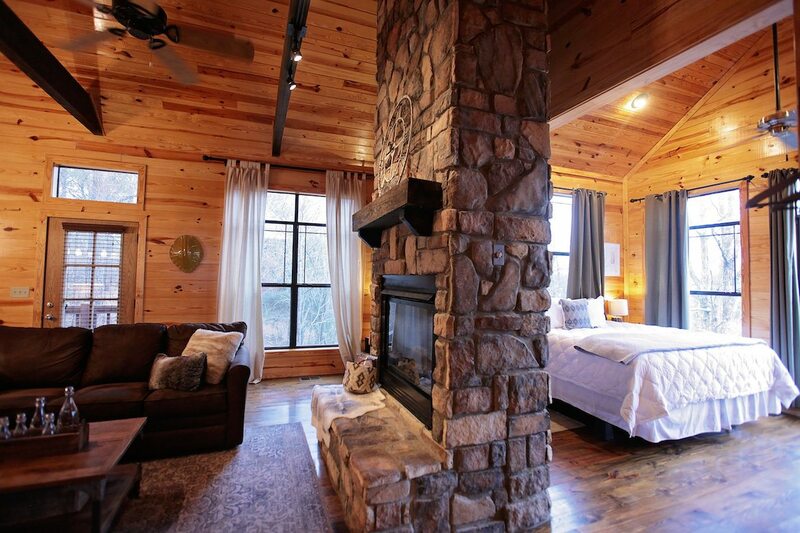 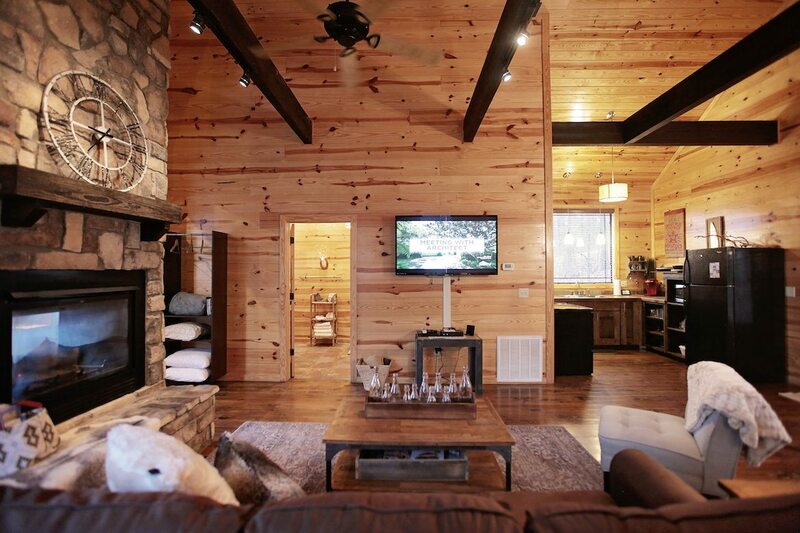 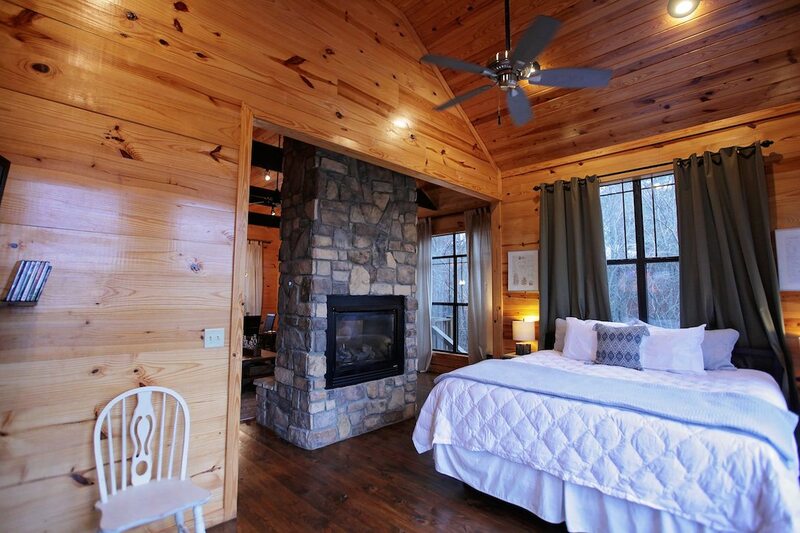 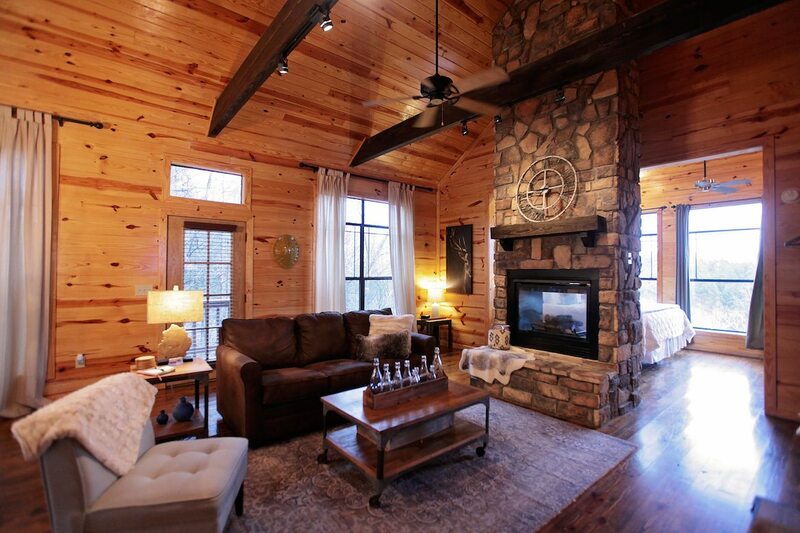 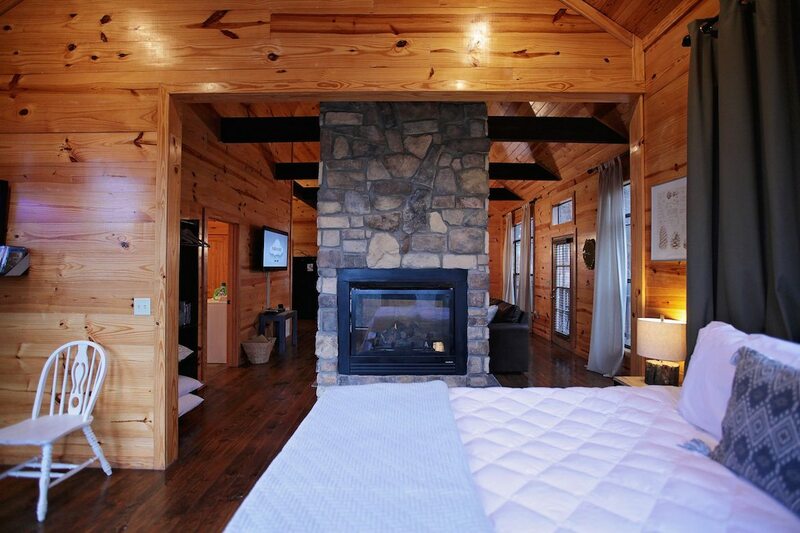 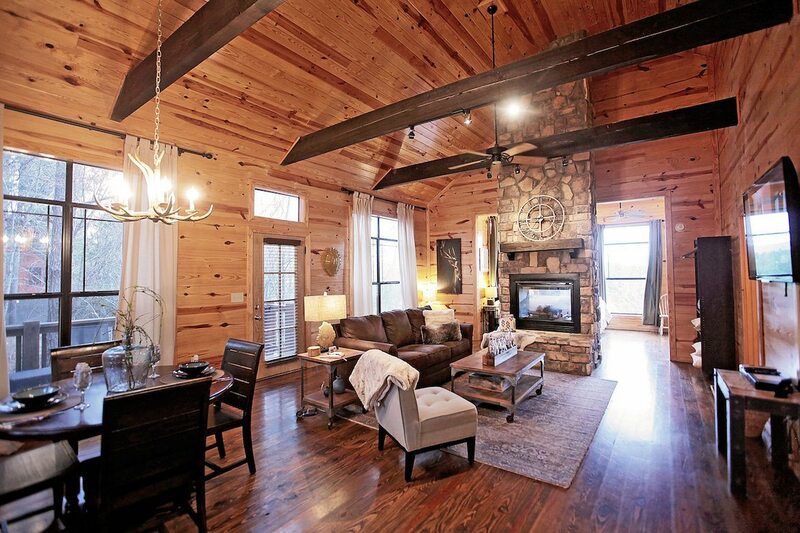 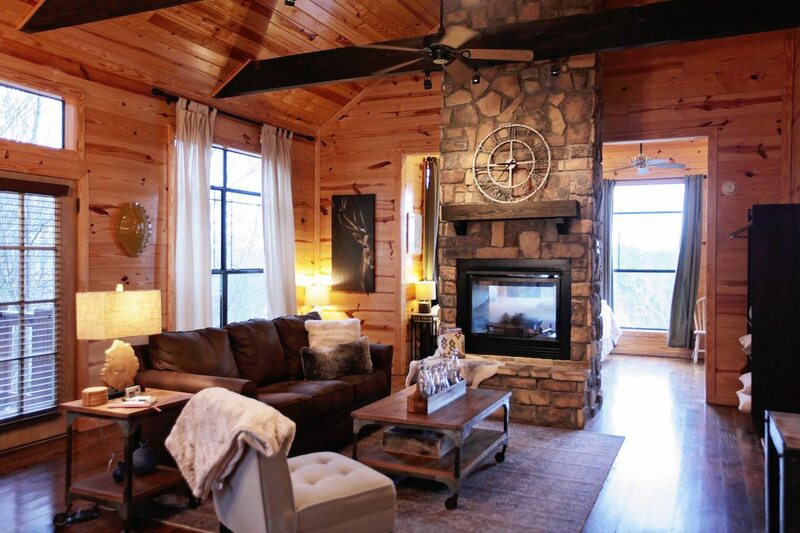 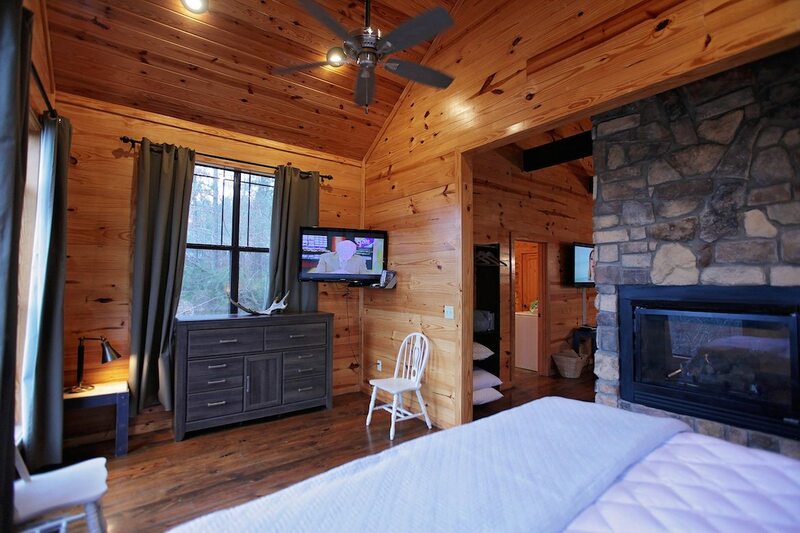 This open floor plan cabin showcases a large double sided gas fireplace that separates the living area from the bedroom and can be enjoyed from both rooms. 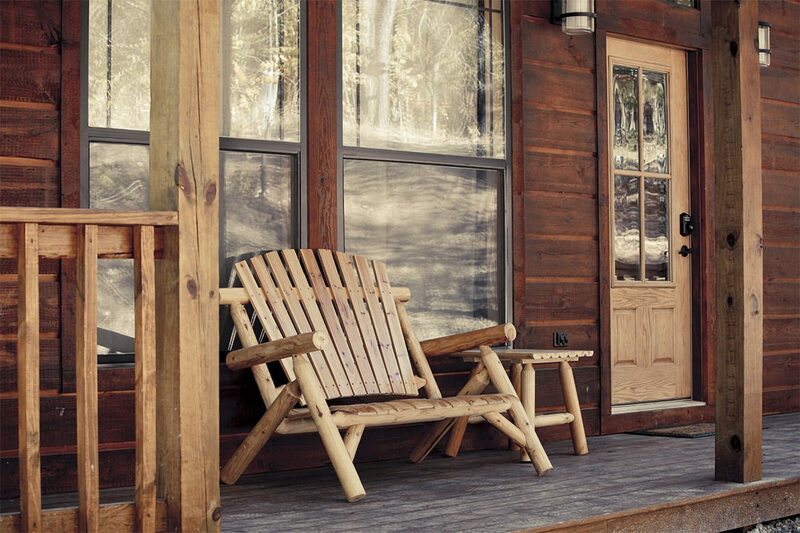 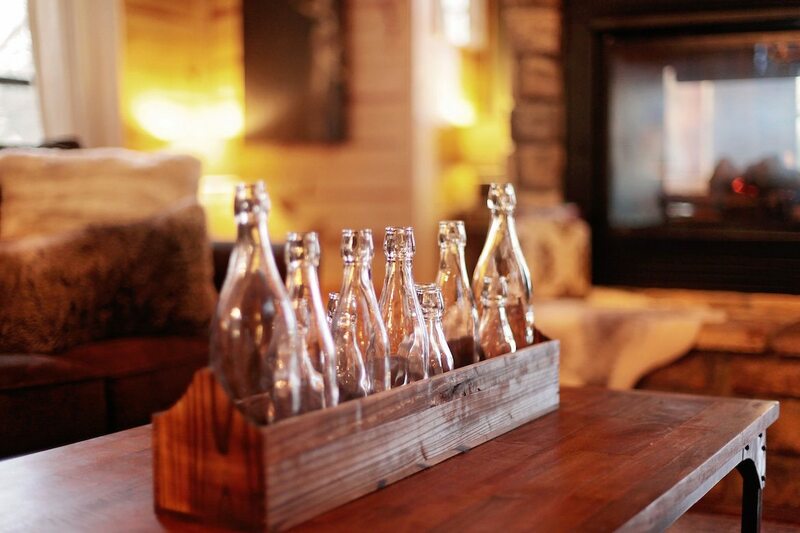 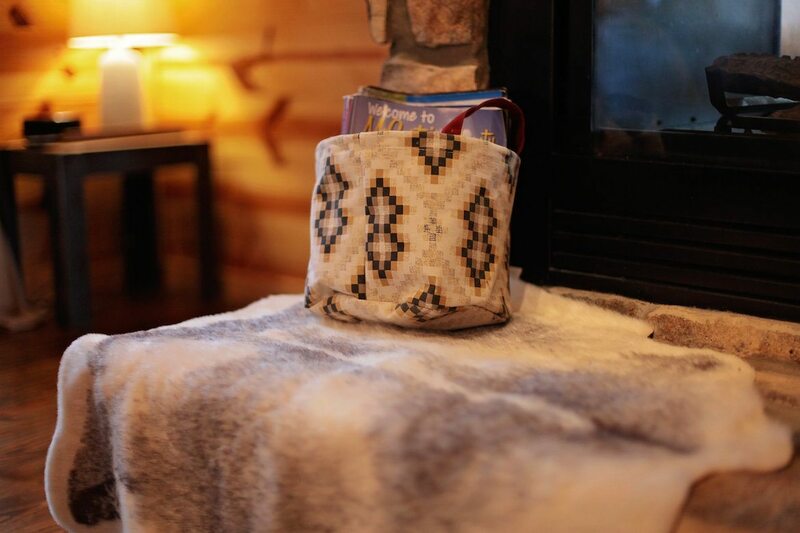 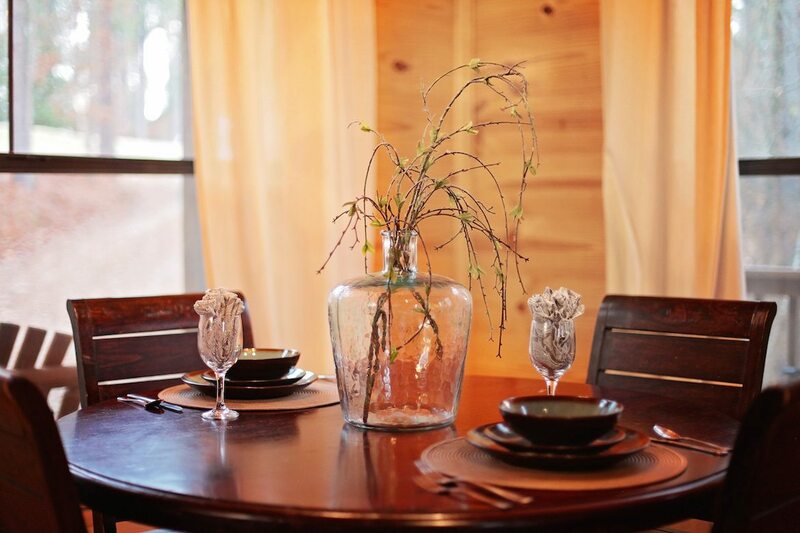 Sleek modern rustic furniture and accessories adorn the cabin in style. 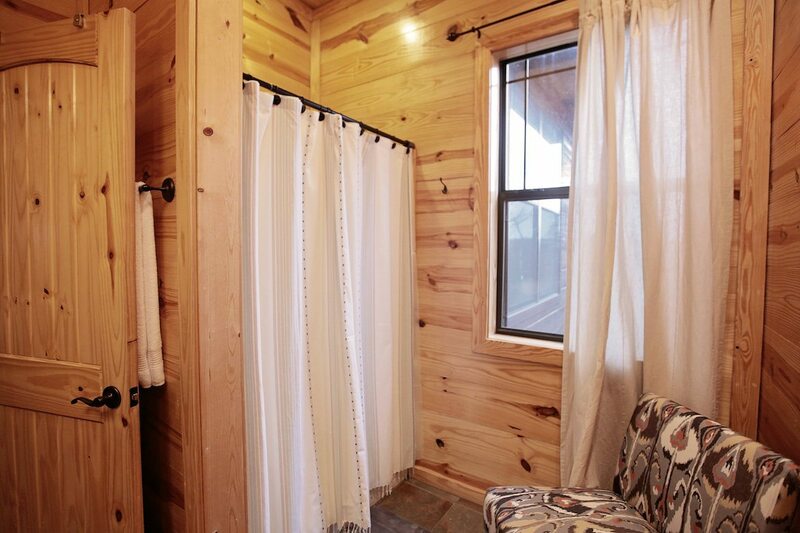 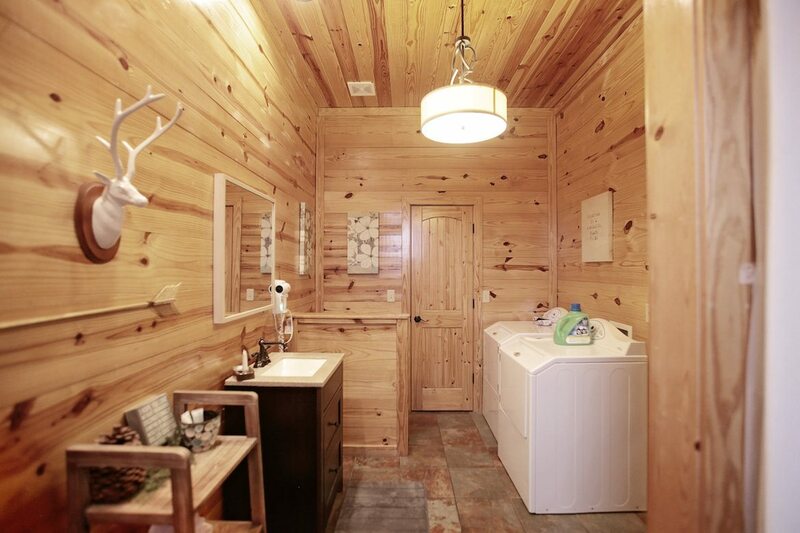 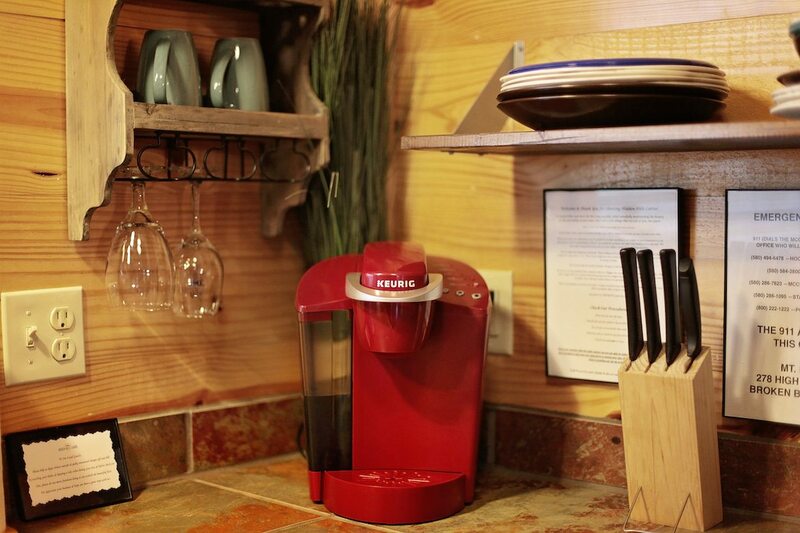 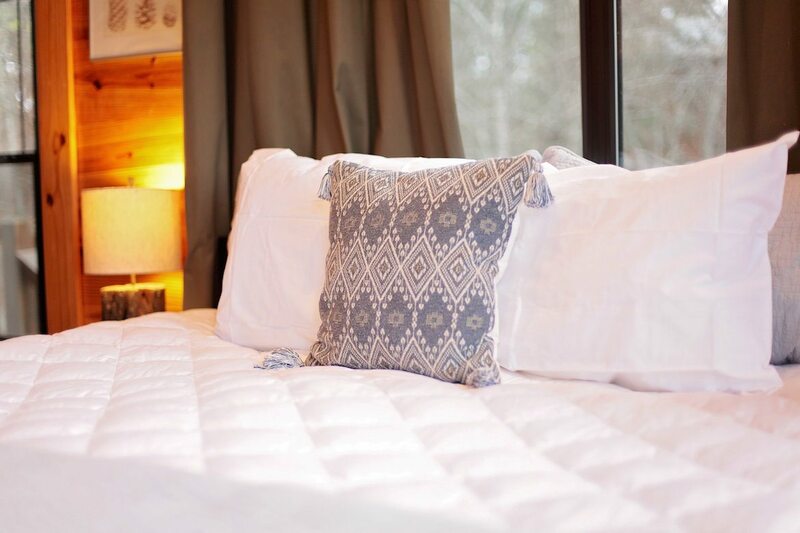 The cabin is equipped with a fully furnished kitchen, a full size private bathroom with large shower, towels and washcloths and a full size washer and dryer, a king size bed with pillow-top mattress and Luxury Downlite linens, a pull out sofa for the kids (extra linens for the pull out are provided), and a dining table for four.